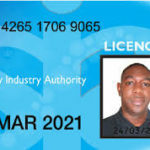 The Security Industry Authority (SIA) has begun a wide-ranging review of the licence-linked qualifications, widening the scope of this work to consider not just the mandatory qualifications required by the Regulator, but also how to support the industry to address the skills and knowledge needed by operatives throughout their careers and across the spectrum of security provision. The review will also look to ensure that robust assessment processes exist to ensure the integrity of the qualifications achieved. Crucial to the success of this project is the engagement of industry and stakeholders. Therefore, the SIA is conducting a comprehensive consultation exercise. This will include primary research interviews with hundreds of operatives, focus groups involving businesses and consultation with expert stakeholders. 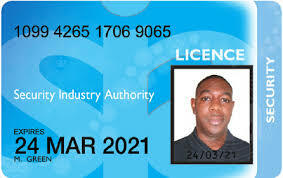 The process will be completed by the end of 2019 and the new qualifications made available in January 2020. This review includes consideration of any refresher training that the SIA requires operatives to undergo. Every five years, the Regulator reviews the qualifications to ensure that they’re still in line with industry working practice, new risks that might have emerged and technology changes. The project has a number of key milestones that will need to be delivered before the new qualifications become available in January 2020. These are the development of qualifications specifications, research and consultation into the private security industry’s characteristics, working methods and emerging/future trends, the development of quality parameters for the delivery of training and the development of a skills strategy for the industry. The SIA is working and consulting with the private security industry in far greater depth this time. It has created Expert Working Groups for each of the specialist areas that it needs to develop content for qualifications. These groups are made up of top-scoring Approved Contractors, individual businesses and subject specialists. The Regulator will be working with them to design the new qualifications and develop quality measures designed to improve the delivery of training. A significant change for this review is that the SIA is developing a strategic approach in partnership with the private security industry that will drive a broader skills agenda. Here, it will be considering career paths, the development of a new apprenticeship framework and that all-important topic of Continuing Professional Development. The overriding aim is to create a structure of learning and development in partnership with the private security industry that will help security to become a career of choice.